In 2010, NASA’s Wide-field Infrared Survey Explorer (WISE) mission observed the entire sky twice. 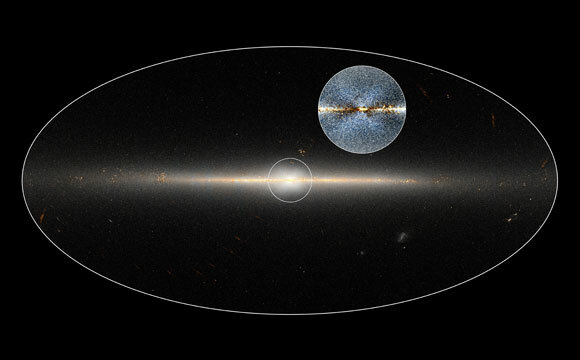 Astronomers used these data to point out the X-shaped structure in the bulge of the Milky Way, contained in the small circle at center, as well as the inset image. The circled central portion covers roughly the area of sky that would be blocked by a basketball when held out at arm’s length. 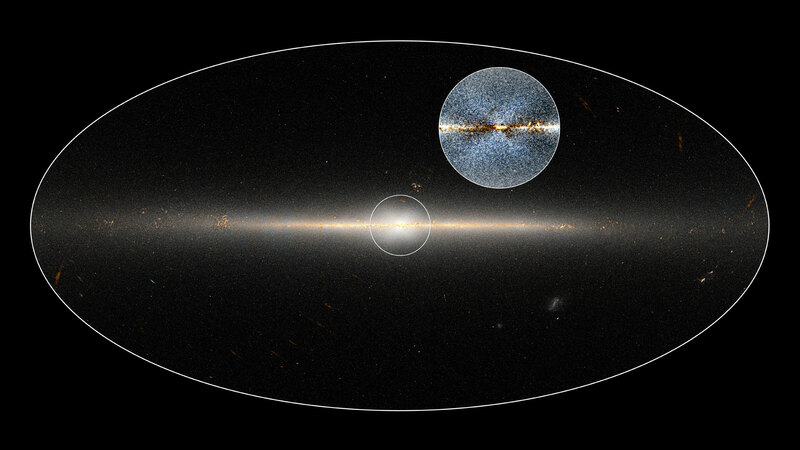 Using data from NASA’s Wide-field Infrared Survey Explorer (WISE) mission, astronomers reveal that the Milky Way’s central bulge of stars forms an “X” shape. To reveal the X shape in the Milky Way’s central bulge, researchers took WISE observations and subtracted a model of how stars would be distributed in a symmetrical bulge. The Milky Way’s X-shaped bulge had been reported in previous studies. Images from the NASA Cosmic Background Explorer (COBE) satellite’s Diffuse Infrared Background Experiment suggested a boxy structure for the bulge. In 2013, scientists at the Max Planck Institute for Extraterrestrial Physics published 3-D maps of the Milky Way that also included an X-shaped bulge, but these studies did not show an actual image of the X shape. Ness and Lang’s study uses infrared data to show the clearest indication yet of the X shape. 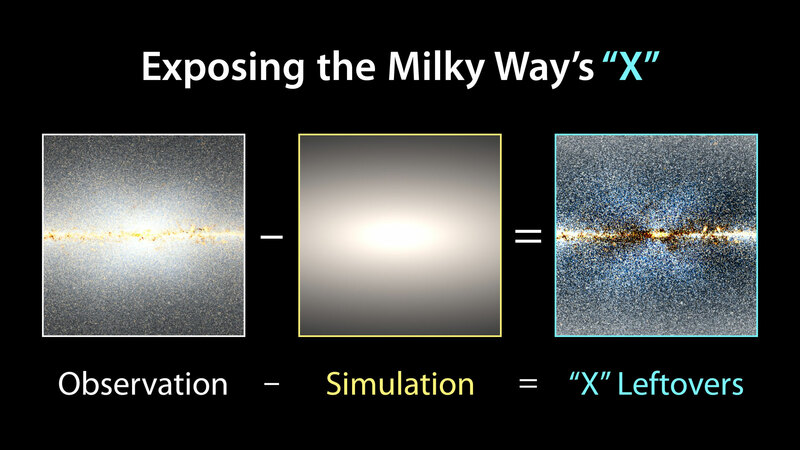 1 Comment on "WISE Reveals the X-Shaped Bulge of the Milky Way"